This Liberty 3 in. 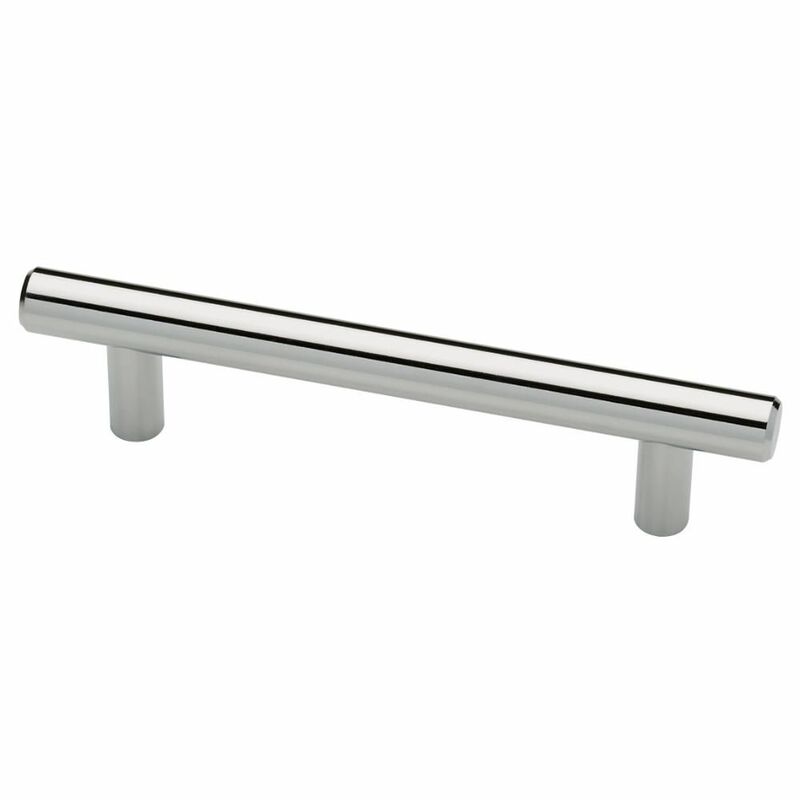 Polished Chrome Pull Bar features modern styling to update the look of your cabinets and furniture. Make a statement without having to say anything at all when this pull is displayed. The bar includes mounting hardware for easy installation. From the Liberty Hardware Stainless Bar Pull collection, this pull offers functionality with a simple modern style. The Stainless Steel finish coordinates with today's popular stainless appliances, and the extended size is great for larger cabinet drawers and doors. Installation Hardware is included, and additional sizes are available. Sleek lines and a bold finish combine in this 3inch bar pull. Champagne Bronze finish is a modern take on brass, and is ideal on dark, mid tone or painted cabinetry. Designed with elegance and sophistication in mind, the 3 inch Acrylic Bar Pull from Liberty offers an upscale look for your kitchen or bathroom. Sophisticated details pair with a sleek acrylic silhouette for a design that matches a wide range of decor. 3 Steel Bar Pull, 1 per package This Liberty 3 in. Polished Chrome Pull Bar features modern styling to update the look of your cabinets and furniture. Make a statement without having to say anything at all when this pull is displayed. The bar includes mounting hardware for easy installation. 3 Steel Bar Pull, 1 per package is rated 4.8 out of 5 by 34. Rated 4 out of 5 by HomeDepotCustomer from I had trouble getting some of the screws all the... I had trouble getting some of the screws all the way in.